We, the Leaders of the Group of Twenty, reaffirm the role of the G20 as the premier forum for our international economic cooperation. When we first met in Washington on 15 November 2008, financial markets were in turmoil, global output was contracting at an alarming pace, trade was plummeting, unemployment was rising, and the future prosperity of women, men and children was at stake. A truly global crisis called for a truly global solution. In Washington, London and Pittsburgh, we took decisive steps to stimulate the world economy, restore growth, recapitalise financial institutions, launch an ambitious program to reform the financial sector, maintain open markets and clamp-down on tax havens. Significantly, we established the Financial Stability Board (FSB), tripled the resources available to the IMF, and put in place our Framework for Strong, Sustainable, and Balanced Growth. This coordinated response helped to alleviate severe market distress and avert a global depression. In Toronto, Seoul, Cannes and Los Cabos the G20 demonstrated its leadership in returning to fiscal sustainability and promoting growth and job creation, structural, financial and tax reforms, anti-corruption, development, energy, agriculture, and fostering inclusive green growth. We also started working in partnership with developing countries outside the G20 to narrow the development gap and reduce poverty. In Saint Petersburg we have emphasised restoring strong and inclusive growth and employment while ensuring fiscal sustainability, promoted financing for investment, including in infrastructure; made further progress on financial reforms; and we have made strong commitments on trade, development, addressing tax evasion, and on changing the rules that allow international tax avoidance related to the erosion of tax bases and shifting of profits. Because of our actions, the global economy is more resilient. However, the process of recovery is not completed. Important challenges are still to be fully addressed, including high unemployment. We still need to work to ensure that growth is strong, sustainable, inclusive and balanced. 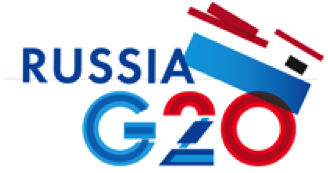 We today reaffirm our conviction that the foundation for sustainable growth and rising prosperity for all is an open world economy based on market principles, effective regulation, inclusiveness and strong global institutions, underpinned by the closer partnership and collective action and shared responsibility of the G20, based on effective policy coordination. We believe that prosperity must be shared; that the benefits of economic growth are for all, men and women, the poorest and most vulnerable, for this generation and the next. build an inclusive and sustainable global economy for all. Strong collective action by the G20 remains the most effective way forward. As a forum of major advanced and emerging economies, we will reinforce our efforts for policy coordination and collaboration to strengthen growth, and manage any spill-over effects from our domestic decisions. We will build on progress achieved and combine our efforts and pursue of our commitment to ensure recovery and lay the foundations for strong, sustainable and balanced growth. Five years after the beginning of the crisis, we must continue to put the wellbeing of individual people at the centre of our growth agenda. We also need to maintain the financial sector on a sound footing and at the service of the real economy. As a Forum representing over 80% of the global economy, we have a responsibility to all citizens. We will remain engaged with the international community as a whole and make sure that the interests of countries at all stages of development are taken into account. Nor can we ignore the far-reaching impact of our actions. To this end, we will strengthen our engagement with the Business20, Labour20, Civil20, Youth20 and Think20 and listen carefully to all institutions and countries that are not in the Group. We will continue to draw on the quality analysis and policy advice of international organisations, including the IMF, WB, OECD, FSB, UN, ILO and WTO. The coordinated response of the G20 helped to avert a global depression and clearly demonstrated the Group's value as a coordinating body for economic crisis management. Going forward, the G20 will build on this success and will continue to play a critical role in the global economy, by developing a common understanding of the new challenges we face and coordinating our actions to overcome them. Although the acute phase of the crisis is behind us, our determination to work together to achieve strong, sustainable, balanced and inclusive growth is unabated.